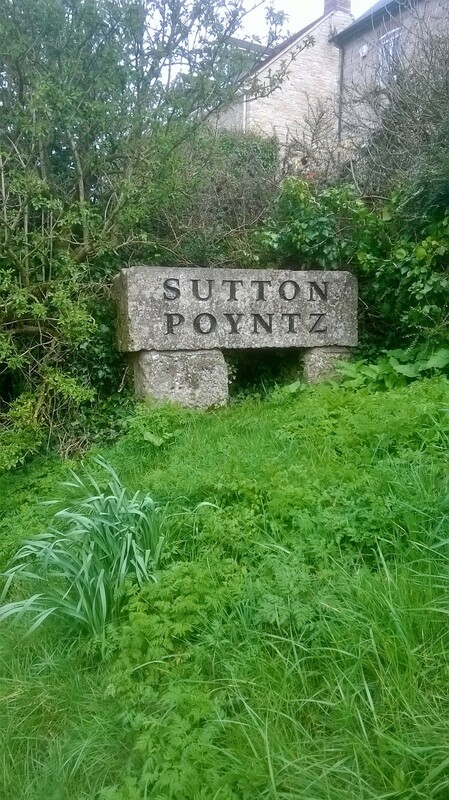 Sutton Poytnz is a small Dorset village just off the A353. As you go down the hill and enter Preston on the A353, the road to Weymouth, it’s easy to miss. But it’s worth stopping off and taking the time to walk through the village. Enjoy sitting by the village pond. Call in at the Springhead, the village hostelry. Walk down the path that runs behind Sutton Mill. An hour spent strolling will be an hour well spent. The hills behind the village were occupied during the neolithic and bronze ages, with barrows dating back 4000 years. For the more energetic, outstanding views of the coast are the reward for climbing up the ridge behind the village.